I love the word neon and if it were up to me it would always be capitalized. NEON is in your face, bright, bold and out there and that was exactly what the Joe Fresh s/s collection was going for. 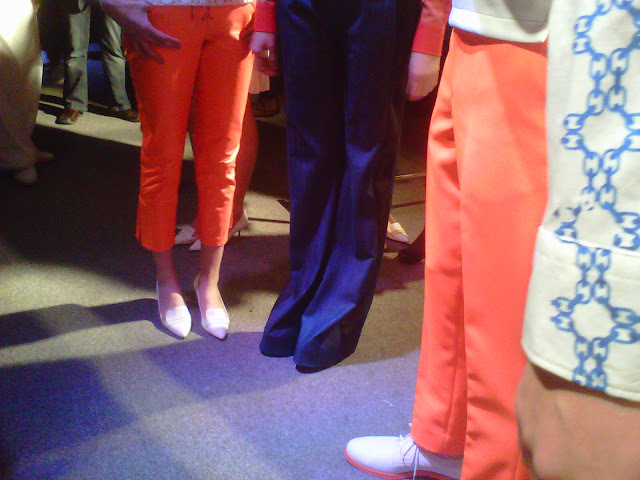 The collection was all about the NEON leather cropped pants in orange, yellow, bright green, and baby blue. The 70's-inspired designs were modern, simple, clean and fresh (haha....). 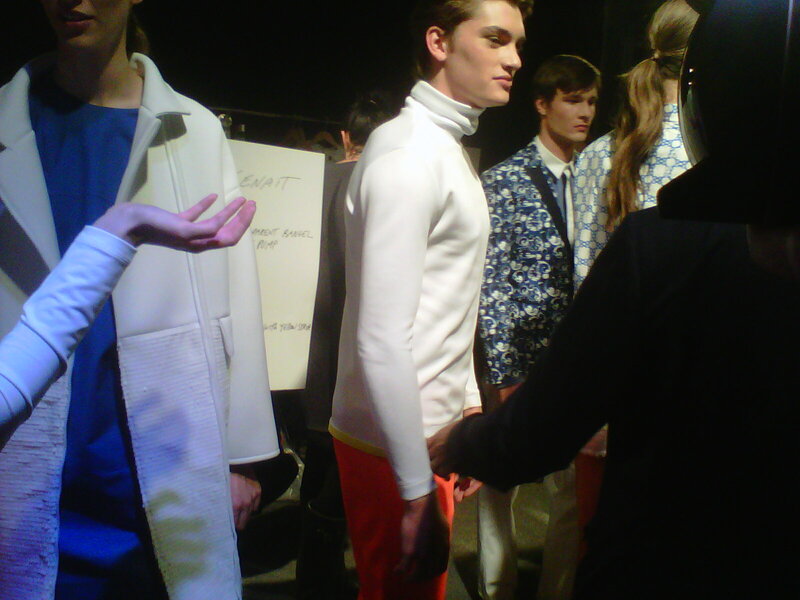 There were long flared pants, white turtle necks and lots of bright colours. The models wore amazing white platform sandals - right out of the 70s.